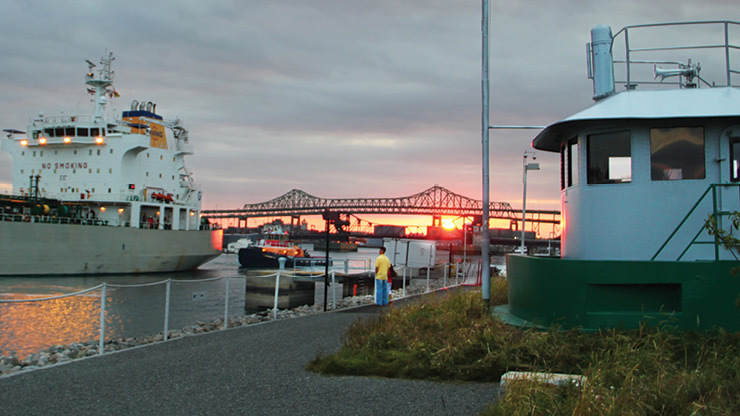 Acadian Freedom is the adaptive re-use of a tug house cabin into a public bathroom, security, and utility pavilion for the P.O.R.T. landscape of Rock Chapel Marine in Chelsea, MA. 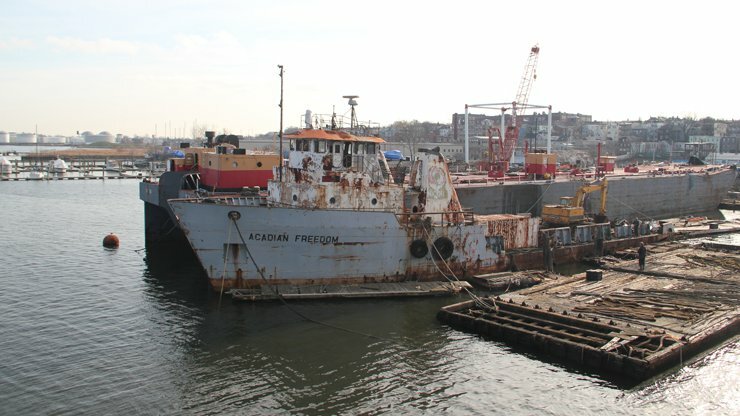 The Acadian Freedom was a US flagged tug/supply vessel built in 1973 in Slidell Louisiana, and had operated in the US great lakes, Boston Harbor, and river systems of Louisiana and Africa. 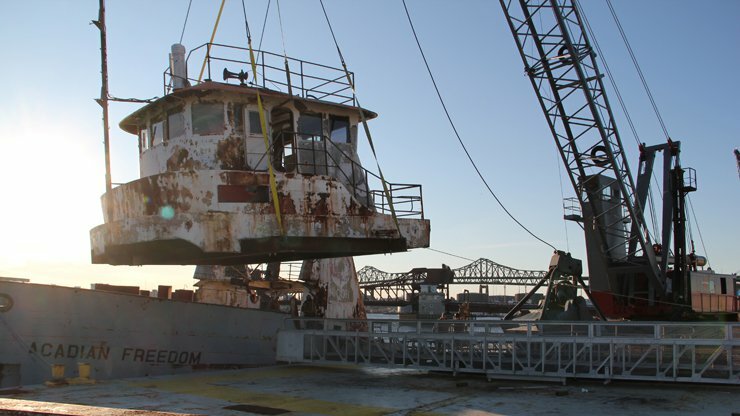 The name of the vessel is derived from its association with Acadia Parish in Louisiana. 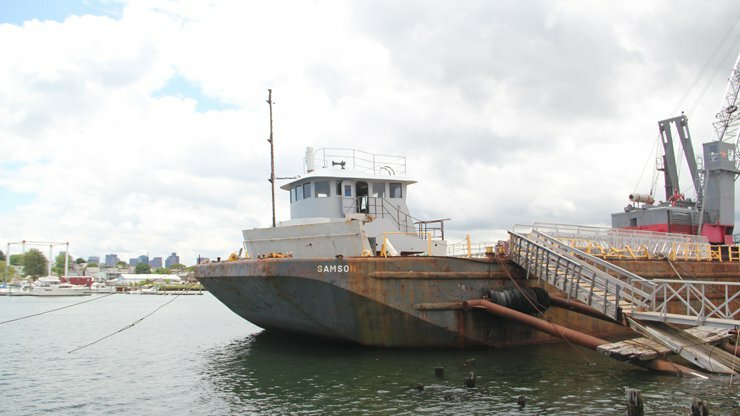 In the spring of 2012, Landing Studio working with a marine dock operator in Boston Harbor observed the vessel at an East Boston marine scrap yard. 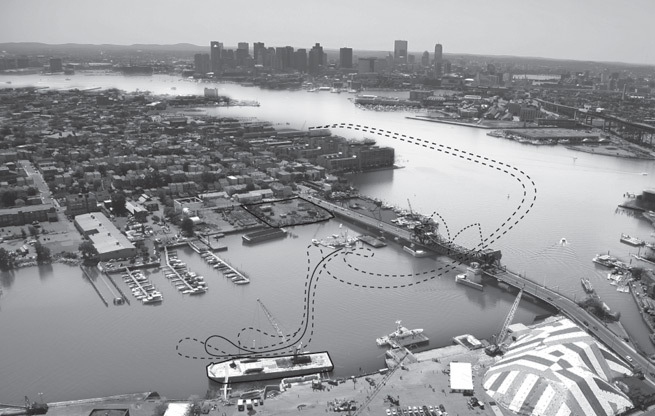 By trading crane lifting assistance, it was possible to acquire the 24 ton steel cabin of the Acadian Freedom, have it barged the short distance through Boston Harbor, and lifted by shore crane onto the site of the future P.O.R.T. On land the cabin structure is to be cleaned and patched, and modified to accept the attachment of additional framed spaces, stair elements, and site utilities.